Privacy is an issue on Facebook, in general, but it's even more of an issue when you're job searching. If you're not careful, everything you post on Facebook can be seen by your current employer or a prospective employer. Inopportune comments and/or inappropriate photos have cost job seekers offers and have caused employees to be fired. Given the fact that just about everyone does use Facebook, it's smart to take the time to make sure that what you post is seen only by who you want to see it, not by the world. If you're job searching or concerned about your boss or co-workers seeing your posts check your privacy settings carefully—both the general settings and the settings for each of your posts. Before you click to post, make sure it's viewable by only the people you want to see it. Jon Gelberg, Chief Content Officer, Blue Fountain Media, shares tips for job seekers looking to bolster and clean up their presence on Facebook. Remove or untag photos of you that show you in an unfavorable light. If you prefer not to, then be sure to carefully manage your album privacy settings. These control which people can see which of your albums. Hope Goldstein, Partner with Bryan Cave LLP, who represents employers in all aspects of labor law and employment law, shares her advice for employees and employers on what employees can post on Facebook and other social media sites, along with the issues employers need to be aware of when creating social media policies. Employees, regardless of whether they are talking around a water cooler in an office or on Facebook have the right to discuss working conditions. Stating your opinion on working conditions is a protected activity. Employees can't just post anything they want on Facebook or anywhere else. Libel or slander or posting comments about individuals that are not related to your work environment are not protected. Posting confidential company information, good or bad, is not protected. Employees need to be careful about what they post. You can still be terminated, even if you were right, if you violate a lawful company policy or the law itself or if your speech isn't otherwise protected activity. That is a lot to have to worry about, so if you have a legitimate company and your goal is to fix a problem at work, what often is the most effective is to follow the company policy for reporting workplace issues. Employers should review their social media policy to be sure they aren't limiting protected employee speech and to be sure employers are reasonable. Reasonable policies do include the right of employers to restrict use of company equipment and spending company time on non-work activities. These policies need to be consistently enforced. Employers should think twice before terminating an employee for posting information online to be sure they are in compliance with the law. 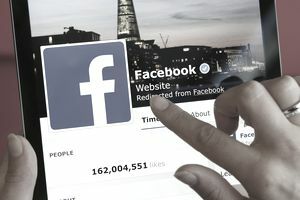 When an employee is fired for posting on Facebook or another online site, they have the right to access the National Labor Relations Board (NLRB) for assistance. Representation will be determined by the basis of the termination and on whether the information posted was protected by the National Labor Relations Act.